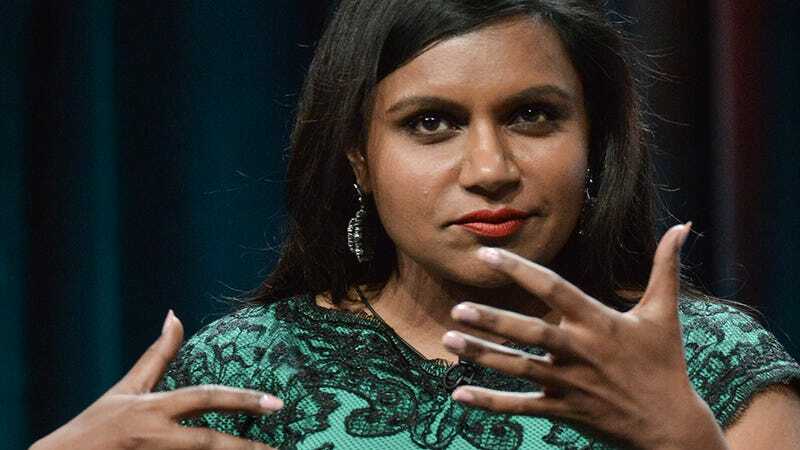 Mindy Kaling, who said earlier this month that it would be "demeaning" to address abortion in a half-hour sitcom, recently clarified her comment. In an interview with Huffington Post Live, she said that she "misspoke." "When I made the comment, I think that I misspoke… I said that I thought it would demean the issue of abortion to talk about it on sitcom," she said. "What I should've said was my sitcom… Many incredible shows have dealt with in it in a way that I really admire. Roseanne is one of them." She went on, "I should've said for now. I don't know that that would be the case in the show, and I don't want to lock myself into never talking about it." As for the thought process behind the comment, she explained, "[Abortion] doesn't strike me — and I don't think this is controversial — as the funniest of areas, and I run a comedy show. And also, my show is not about gynecological issues that much. It's about a workplace... It's hard to say those things and not sound like I'm skirting the issue, but, at the same time, our show from the get-go hasn't made its centerpiece to focus on political issues. Instead, the fact of the way that I look and the decisions I make, the character, that has sort of been our more subtle mouthpiece for those things." All of this is true; even though one in three women get an abortion in their lifetime, the discourse around the procedure is insanely politicized — a few days ago, Merrit Tierce argued in a New York Times op-ed that our tendency as a culture is to recirculate "only the gut-wrenching, heartbreaking, terrifying abortion stories," which helps maintain the idea that "abortion isn't normal." Not every abortion story comes with a grand justification, she points out: "It's O.K. if it's boring or not traumatic or if you don't even know what it was."